Using a hotel credit card gives you access to great perks such as rewards you can use for free nights and complimentary upgrades. Many of the best hotel credit cards offer sign-up bonuses if you meet the minimum spending requirement. Note that you may not be able to receive a sign-up bonus if you earned one for that credit card in the past 24 months. Being loyal to a specific hotel can pay off in a big way, especially if you have that brand’s hotel credit card and you’re a member of its loyalty program. When you’re choosing the best hotel credit card, it might pay off—literally—to consider a credit card outside your current favorite hotel chain. Let’s check out the best hotel credit cards for this year. 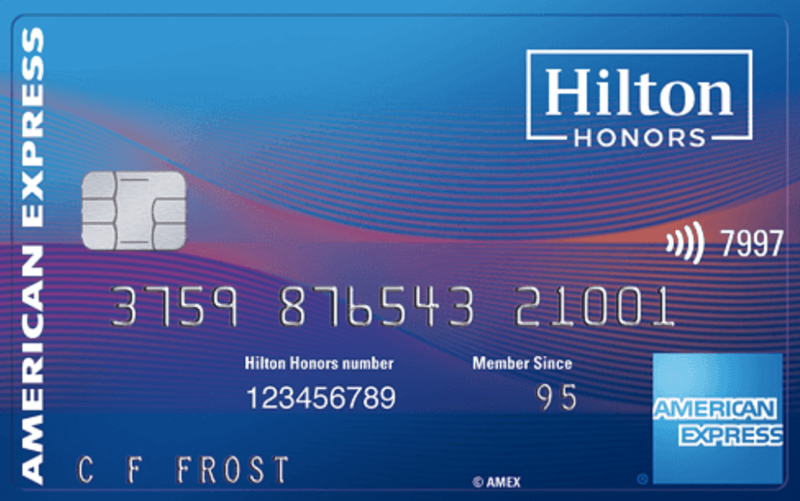 Earn points that you can use toward stays at Hilton hotels with the Hilton Honors American Express Ascend Card. You can earn up to 125,000 bonus points if you spend 23,000 on purchases in the first three months of opening your account. Ongoing, you’ll earn 12 Hilton Honors Bonus Points on each dollar of purchase made directly with the Hilton Portfolio; six Hilton Honors Bonus Points for each dollar of eligible purchases at U.S. restaurants, supermarkets, and gas stations; and three Hilton Honors Points per dollar on everything else. Important Pricing: The APR is 17.99% to 26.99% on purchases and balance transfers, the annual fee is $95 and there is no foreign transaction fee. With the Hyatt Credit Card, you’ll earn 25,000 bonus points after you spend $3,000 on purchases in the first three months of opening your account. You can earn an additional 25,000 bonus points if you spend $6,000 on total purchase within the first six months of having an account. Earn four points per dollar spent at Hyatt hotels; two points per dollar spent at restaurants, on airline tickets purchased directly from airlines and at car rental agencies; one point per dollar on everything else. Your points won’t expire as long as you keep your Hyatt Credit Card open. You can start redeeming your points for free nights at just 5,000. As a bonus, you’ll enjoy one free night each year after your cardmember anniversary. Choose from any Category 1 to 4 hotel or resort. Important Pricing: The APR is 18.24%-25.24% variable, the annual fee is $95, and there is no foreign transaction fee. The Wyndham Rewards Visa Signature has one of the easiest-to-earn sign-up bonuses of any credit card. Earn 15,000 bonus points after making your first purchase. No minimum spending amount required. The 15,000 bonus is enough to redeem for up to 2 free nights. Ongoing, you’ll earn three points per dollar spent on participating hotel stays and two points per dollar spent on gas, groceries, and utilities. Earn one point per dollar spent on purchases everywhere else. You do have the option of transferring a balance and taking advantage of the introductory offer. Enjoy 0% APR for the first 15 billing cycles for any balance transfer that posts to your account within 45 days of opening. After that, balance transfers will receive the purchase rate. Important Pricing: The APR is 17.49%, 22.24% or 27.24% on purchases, depending on your creditworthiness. There is no annual fee. The balance transfer fee is $5 or 3%, whichever is greater.